Human Resource Development (HRD) ministry has notified that Ph.D will be mandatory for the direct recruitment of assistant professors in Indian universities. New Delhi: Human Resource Development (HRD) ministry has notified that PhD will be mandatory for the direct recruitment of assistant professors in Indian universities. The new UGC regulation in this regard will be in place from July 2021 and the same rule will also be applied for promotion to Assistant Professor (Selection Grade) in colleges, said a statement from the ministry. Currently, those who hold PhD degree or are UGC National Eligibility Test (NET) qualified with masters degree are eligible to apply for assistant professor, the entry level position, in universities. "Ph.D Degree shall be mandatory requirement for Direct Recruitment to the post of Assistant Professors in University with the effect from 1st July, 2021. However, Masters degree with NET or Ph.D. will continue to be the minimum eligibility requirement for Direct Recruitment to the post of Assistant Professors in colleges," said the statement. According to new rules, incentives to teachers as provided in the earlier Regulations of 2010 and subsequent amendments have been retained and these include incentives for MPhil/PhD. The new regulations have done away with the Academic Performance Indicator (API) based appraisal and according to HRD, a new simplified teacher evaluation grading system has been introduced and research score added for Universities to improve research output. Announcing the new regulations of the University Grants Commission (UGC), HRD minister Prakash Javadekar said API, which was resisted by many as research was made compulsory for college teachers, has been scrapped so that they could focus on teaching students. "Now college teachers would not have to mandatorily do research but will have to essentially concentrate and give better education to undergraduate students," he told reporters here. The new regulation has a special provision for recruitment of Assistant Professors in Universities and Colleges for PhD Degree holders from a University/institution in the top 500 Global rankings. Hindustan Times reported that international rankings by Quacquarelli Symonds (QS), the Times Higher Education (THE) or the Academic Ranking of World Universities (ARWU) of the Shanghai Jiao Tong University (Shanghai) will be considered for this. 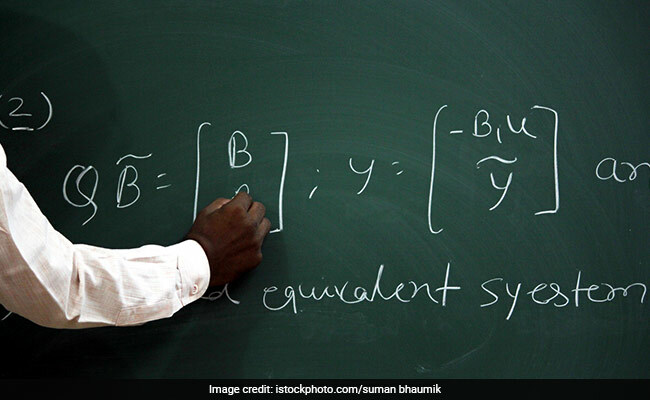 Promotion criteria under UGC’s Career Advancement Scheme (CAS) for teachers has been made more research oriented while in case of College teachers, CAS criteria is more focused on teaching, the regulation maintains. For the first time, the new regulation directs that the provision for promotion in Colleges will be up to Professor level. It also mandates that research dusters will be created in the Universities within the State for Sharing research facilities, skills and infrastructure to ensure optimal utilization of resources and creating synergies among higher education institutions. UGC had earlier released a draft regulation of Minimum Qualifications for Appointment of Teachers and Other Academic Staff in Universities & Colleges and measures for the Maintenance of Standards in Higher Education) 2018 on February 9, which invited criticism from several quarters. UGC had sought feedback from stakeholders and general public on the Draft Regulation till February 28, 2018. Weightages are assigned for CAS in respect of MOOCs and E-content in Universities and Colleges. Upto 10% of the existing sanctioned strength of Professors in Universities shalt be appointed as Senior Professors in the Universities. Senior Professors in Universities will be appointed through direct recruitment and through promotion under CAS. Universities will accord permission and provide need based facilities to college teachers to supervise Ph.D/M.Phil scholars. Special category of medal winners in Olympics, Asian Games and Commonwealth Games in eligibility criteria for Assistant Director/College Director, Physical Education and Sports, and Deputy Director, Physical Education and Sports in Universities has been made to promote sports in Universities and Colleges.